Once more unto Camp Shakespeare, my friends, once more! Or perhaps... "To Camp Shakespeare or Not to Camp Shakespeare? 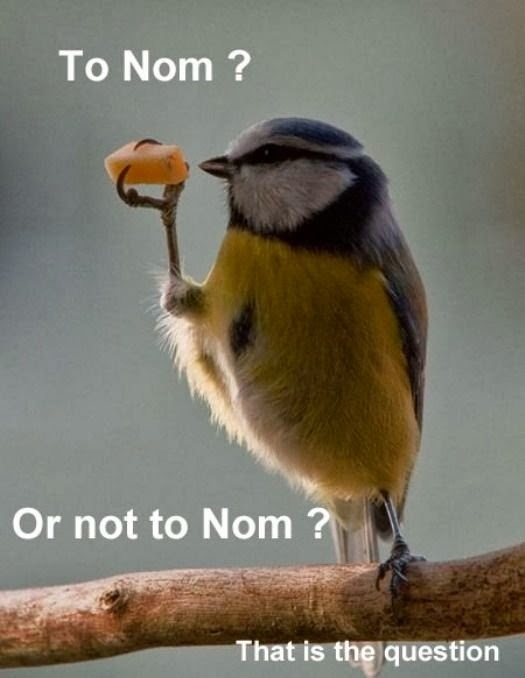 That is not EVEN A QUESTION." You MUST come to Camp Shakespeare. Even though attending Camp Shakespeare is not 'the question', you may still have some questions about Nebraska Shakespeare's Camp. 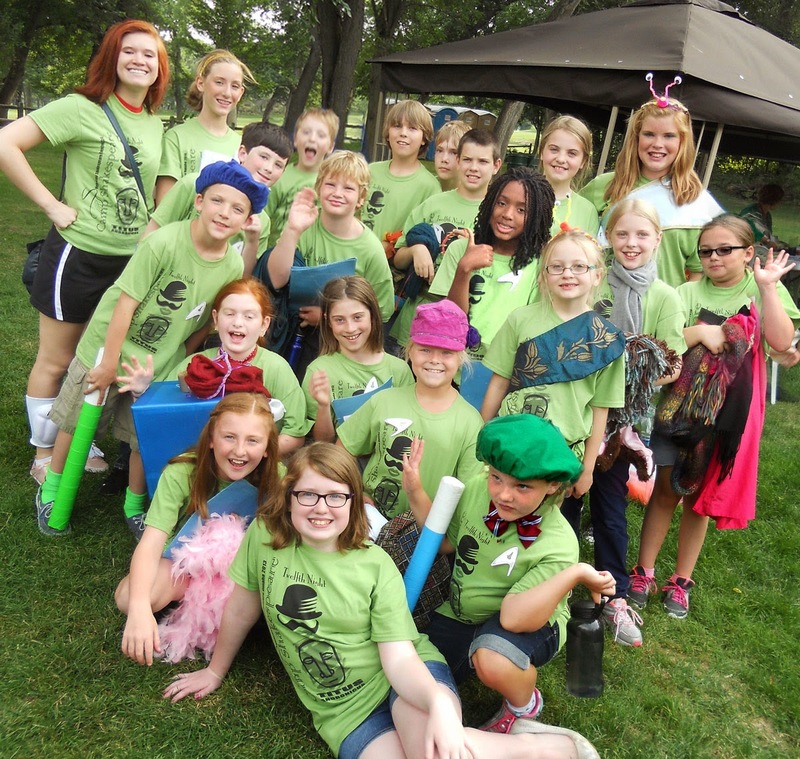 Here are some quick answers to our most frequent inquiries about Camp Shakespeare. "Isn't Shakespeare difficult, how can my young child understand and enjoy this experience?" "I have no experience in theatre or shakespeare, can I attend this camp? "In school, Shakespeare is boring...Is this camp fun?" What? You want more? Okay, let me elaborate a bit. Camp Shakespeare is a hands-on, exciting two week experience that allow kids to explore their passion for theatre through Shakespeare's plays. 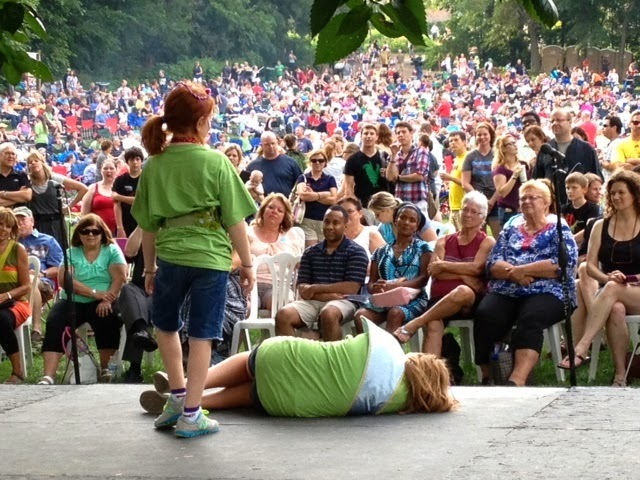 By working with professional theatre educators and professional Shakespeare On The Green artists, Camp Shakespeare attendees have the unique experience of learning Shakespeare in an accessible and dynamic way. 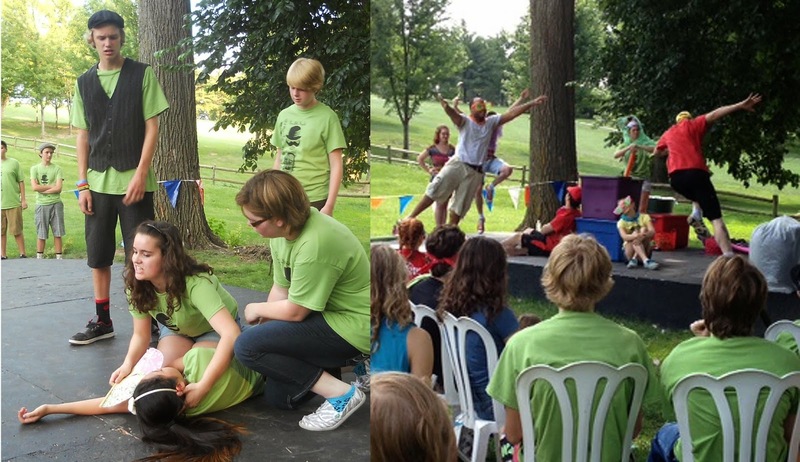 Culminating in a final performance in Elmwood park, the two weeks of camp are filled with games, theatre exploration and stage combat. This experience takes the mystery and trepidation out of Shakespeare's work and instills a confidence with and ability to understand Shakespeare. Parents of campers have repeatedly noted a distinct improvement in their children's grades and social skills after just one summer with Camp Shakespeare and students continue to return every year to rekindle strong, lasting friendships. Taking the first steps into a life-long love of Shakespeare, the Jesters explore plots and themes of Shakespeare plays, as well as develop an understanding of characters and story through live performance and narrative. Furthering their education of Shakespeare, the Apprentices explore the characters of Shakespeare, beginnings of textual understanding and establishing the basics of theatrical production. Creating a performance experience which brings the plots, character struggles and universal themes to life. Diving Deeper into Shakespeare’s text and stories, the Players discover the power of his words and how it translates to live performances, exposing the students to basic training of a Classical Actor-Including vocal and physical exercises, stage movement and combat. Registration is $175 per student. Early Bird Special - $150 now through the end of January! Nebraska Shakespeare is proud to announce the segment "Shakespeare & The Wild West" will air on the next new episode of NET's Nebraska Stories. 9:00 pm (CST) on NET1. "Shakespeare & The Wild West"
Cowboy Up! 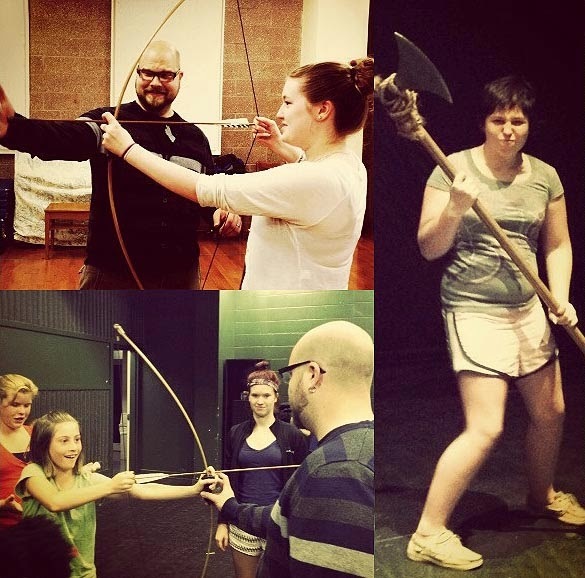 Nebraska Shakespeare takes the English bard's work to Valentine. Nebraska Shakespeare partnered with NET in 2013 to acquaint Nebraskans across the state with Shakespeare’s work through community events and Shakespeare Uncovered series. The NET crew followed the Nebraska Shakespeare On Tour production of Twelfth Night to Valentine, Nebraska. The On Tour production of Twelfth Night was a fast-paced comedy directed by Vincent Carlson-Brown, dynamic and dangerous, with mischievous tricks and a moving story surrounded by Music, set in an 18th Century British Isles Pirate World. A shipwreck has left twins Sebastian and Viola stranded, separated from each other, unknowing if the other has survived. Viola must disguise her gender, becoming 'Cesario' in the service of Orsino in an attempt to make her way in this strange new land. For the eighth consecutive year, Shakespeare On Tour exemplified the NS commitment and mission to serve as an inspiration for promoting the life-affirming values of Shakespeare, and experiencing the beauty and richness of his plays. Shakespeare On Tour performed and conducted workshops in Middle and High Schools throughout the state of Nebraska and Western Iowa, serving a total of 41 communities and about 7,500 persons.